The Bergys’ connection with Dr. Kinyoun and with the UW Medicine eye clinic was important to the couple. And even though Gordon Bergy, M.D., Res.’49, passed away a few years ago, Joan retains a strong interest in the Department of Ophthalmology and the UW Medicine Eye Institute. Such a strong interest, in fact, that she has made significant investments in their work. 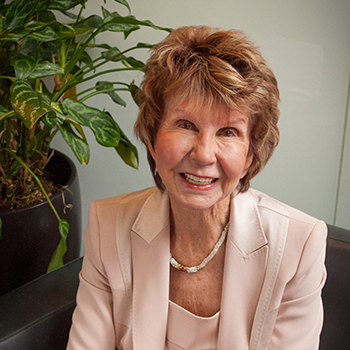 First, she created the Joan and Gordon Bergy, M.D., Lectureship in the Vision Sciences — an educational legacy Dr. Bergy would have been proud of. More recently, she decided to make a gift through her will to support ophthalmology. If the desire to have a plan prompted Joan to make a planned gift, so did inspiration. She remembers hearing the director of the eye institute, Russell Van Gelder, M.D., Ph.D., talk about the power of research. “He thinks that in 40 or 50 years, many types of eye disease will be eliminated,” she says.